Acupuncture, an ancient form of medicine with a history of thousands of years. Fine needles are used to rebalance the body. With as many as 2000 acupuncture points, Dr. Mak chooses points that work synergistically, to rebalance your body. The versatility in which herbs can be used makes botanical medicine one of my favorite modalities. Herbs can be combined into countless different combinations, enjoyed as a tea, used in a cream, taken conveniently as a tincture or added to our everyday cooking. Dr. Mak believes that the mind and body are interconnected and that a healthy mind is vital to health. 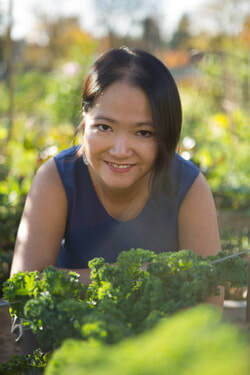 In working with her patients, Dr. Mak strives to bring awareness to this often forgotten mind-body connection.